Romario de Souza Faria has never been a shrinking violet. From his earliest years he aggressively, sometimes violently, revolted against critics and seemingly any authority figure. In hindsight, given his post-football career path as a politician on the Brazilian senate, it might seem highly ironic. If anything, though, it could be read as simply the latest attempt to assert himself on his surroundings. With straggling long hair that has long since faded to grey, his five-year-old eyes already possessed a narrowed focus that already gave him an edge. His slightly hung eyelids that exude an air of quiet menace were prevalent even at at that age. Life in the 1970s in Jacarezinho – now one of Rio de Janeiro’s largest favelas – can do that to a child. From rejection, poverty and small physical stature he bludgeoned his way to adulation, wealth and social status with the frenzied, snarling spirit of a ravenous pitbull. More than most, he had to shout to make himself heard. Massed games on the street were his stage, not anyone else’s, even if there were dozens of youngsters playing with him. Such is the inescapable depth of poverty in large swathes of Brazil’s huge conurbations that children like Romario had to fight for almost everything. The one common denominator is that they used football as their escape from hardship. A tiny Romario thrived on the unforgiving but democratic pitches to the delight of his parents. His hunger for attention drove his development as a person and as a player. When he was rejected by Vasco da Gama as a 15-year-old for being too small, it only served to drive him on further. Expletive-ridden responses were just the surface; underneath, his resolve to not just steal the limelight but do so in spectacular fashion was hardened. Later the same year as his initial rejection, Romario scored four past Vasco’s age-group side and convinced the coaching staff how wrong they had been. At that age, his strength on the ball and acceleration were remarkable. Defenders often assumed they’d have little trouble putting the diminutive upstart in his place but were left looking foolish as he raced, barged and powered past them time and again. After a couple of years in the Vasco youth system, he caught the attention of the national team selectors for the under-20 side for whom he scored 11 goals in 11 games. He joined his compatriots in Moscow for the 1985 World Youth Championship where they were crowned champions. Romario, however, had been sent home for urinating off a balcony in the team hotel. Being part of a successful team was a pathway to elevate his station, and his club could no longer hold him back. Promoted to the senior team, he bagged 80 goals in three seasons as they won two consecutive state championships, earning a call-up to the senior national team in 1987. He scored seven goals en route to winning Olympic silver in Seoul a year later, at which point it became clear a move to Europe was inevitable. The only question was where. 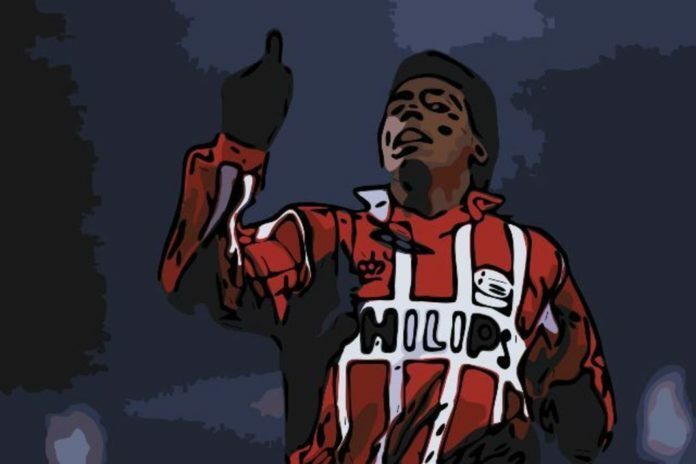 PSV Eindhoven paid a significant sum to attract him to the Netherlands, and the goals kept flowing. His development in Brazil had done two things in his favour; firstly, it had given him a basis to develop his hunger for finishing ruthlessly. Although he was a terrier on the pitch, he was also a fiercely loyal family man. Playing for Vasco had allowed him to remain near to his parents while turning into a man. Secondly, it grew his reputation in an age before teenagers are smeared across every screen under the sun at the slightest rabona or flick. He was mobbed by Dutch fans upon his arrival who lauded their new man as an idol. Transitioning from one continent to another was made smoother by the adoration of his new audience, but it wasn’t without its challenges. Rio de Janeiro had given him one of the loudest, busiest and most energetic cities imaginable to grow up in. Eindhoven, by comparison, was a relatively quiet port with little obvious attraction to a Brazilian. He missed the easy-going lifestyle quickly, and needed home comforts. In his garden, the dull rain and darker colours of the grass and grey sky simply wouldn’t do: he instead imported some golden sand to spread out instead to replicate some strange Dutch version of the Copacabana. Had he lived life at a frantic pace, and sedentary rhythm of training and a quiet home life just wouldn’t do. Naturally, he sought entertainment at night in a way that simply couldn’t have happened in today’s world of instant video and social media. At least it would have been captured for damaging posterity; whether he would have curtailed his nocturnal activities is doubtful. It must be remembered that his welcome came in the wake of PSV’s greatest season in their history. 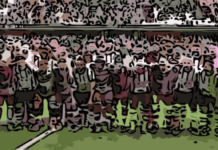 They had won the Eredivisie in swashbuckling style, playing an almost gung-ho attacking brand of Guus Hiddink football with Frank Arnesen, Eric Gerets and Wim Kieft and scoring an astonishing 117 goals in the process. On top of the league title, they won the Dutch Cup to complete a domestic double, but their true glory lay waiting. After grafting their way to the European Cup final against Benfica without winning a game inside 90 minutes after the first two rounds, they lifted the trophy to complete the most magical of campaigns. This atmosphere of elite achievement was the one into which Romario was airlifted to great fanfare. PSV clinched the double in his first season, before he helped his country win the Copa America on home soil at the end of the campaign. In fact, in his four years there, PSV were crowned champions in three. Perhaps more importantly for Romario himself, he was top goalscorer in his opening three seasons. Bobby Robson arrived as manager in 1990. 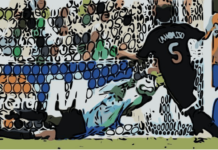 The Englishman was a father figure to some of the most mercurial characters in football, but his basic code of respect was overstepped at times by his firebrand Brazilian maestro. The very focus that had driven Romario to be the best was in danger of overshadowing his responsibilities as a teammate. Ruud Gullit had clashed with the management the year before Romario’s arrival, criticising the lack of development in the squad, and had left for a world record fee to AC Milan. His path to a grander level of existence seemed predestined for Romario. At what point the obsession with statistics blossomed in his mind, it is hard to tell. Was it on the dusty streets his five-year-old frame jostled for acceptance? Was it as he struck the fourth in that revenge match against Vasco reserves? Perhaps as he was crowned top goalscorer at the under-20 South American Championships? It doesn’t really matter in the end, as the effect would have been the same. 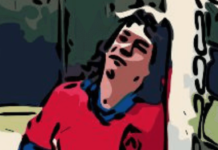 Robson’s relationship with a teenage Ronaldo a few years later, at PSV and at Barcelona, was famously characterised by his adoration of the young man and his fatherly touch towards his development. “He’s a good chico,” the beaming silver-haired manager once said of the younger player. The ferocious lust for personal achievement in Romario was not one that squared comfortably with the late Robson, but it wasn’t ignored by all. Hiddink famously revealed the positive side of the unshakable self-confidence Romario possessed. All he needed was acceptance of his brilliance, and room to take the leading role. All things told, moving to Europe had been a breeze for him. His next career move would assure him the stage to burst even further into the limelight. Next articlePlayer-Managers: An Extinct Species?